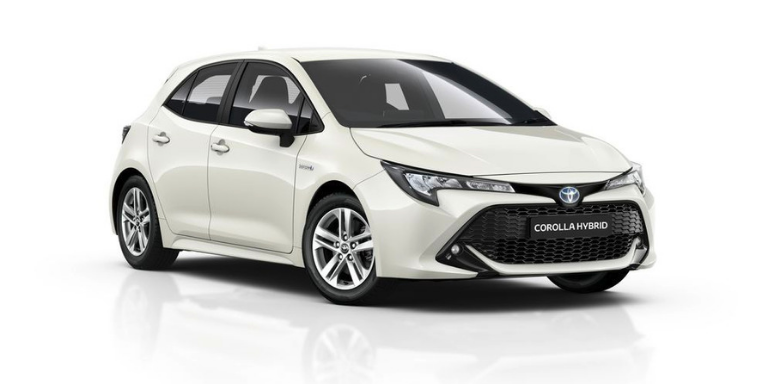 The first thing you notice about the new Corolla is its bold and dynamic exterior, which can be made even more eye-catching with a selection from our bi-tone paint options. An attractive low bonnet, a striking wide grille and distinctive all-LED headlamps gives it a sleek profile, which is enhanced by sporty 18" alloy wheels. Our designers have chosen a combination of high quality materials that look stunning together – and also provide a pleasing variety of textures. An all-black look gives the interior a sporty feel, or you can choose a cool grey that underlines the spacious and uncluttered design. Stylish sport seats complete the look perfectly. Spirited and responsive in the city, the 1.8 litre Hybrid engine provides a relaxed drive. 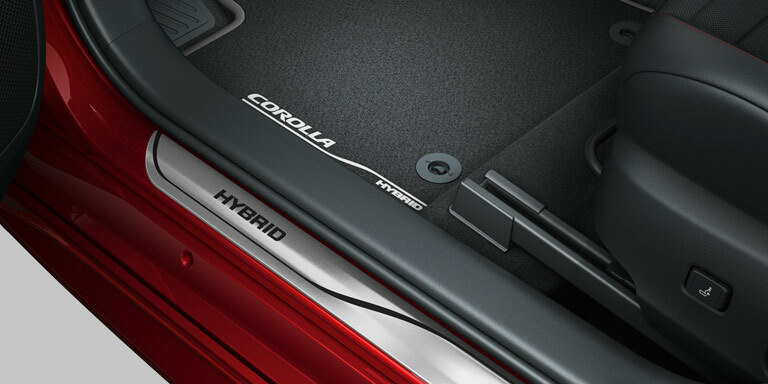 The new 2.0 litre Hybrid Dynamic Force engine delivers even more power without compromising on the smooth drive. Whichever you choose, both save fuel and reduce emissions, falling to zero when you drive on electric power alone. 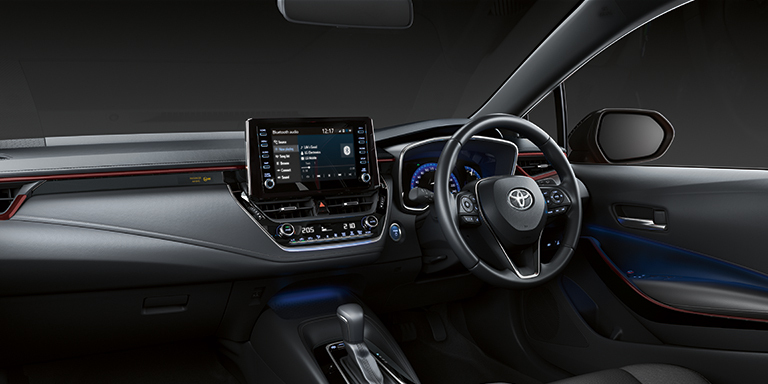 The cabin of the new Corolla has been designed around your comfort and versatility with a boot capacity of 361 litres. Steering-wheel mounted switches for driving, infotainment and audio controls let you keep your hands in one place. Our suite of safety features which come as standard across the grade line are unrivalled in the segment. This unique safety system includes an array of updated safety features that makes driving easier, while keeping you and your passengers even safer. 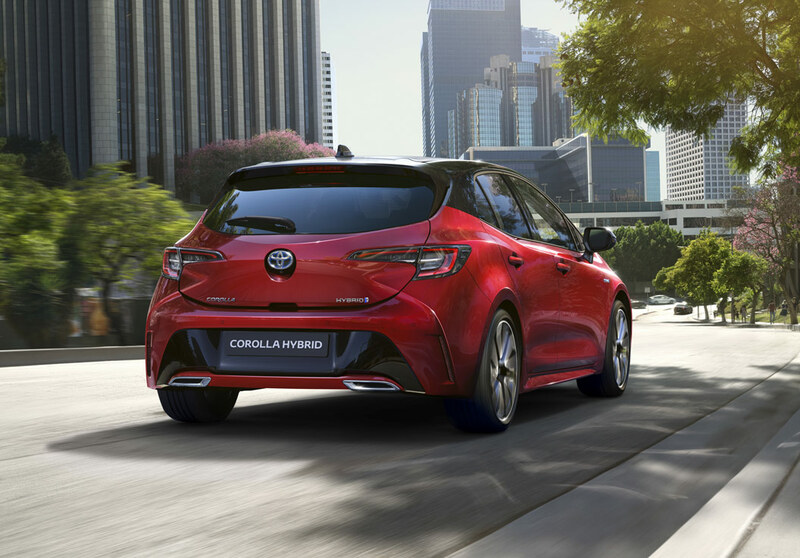 Which Corolla Hatchback are you?